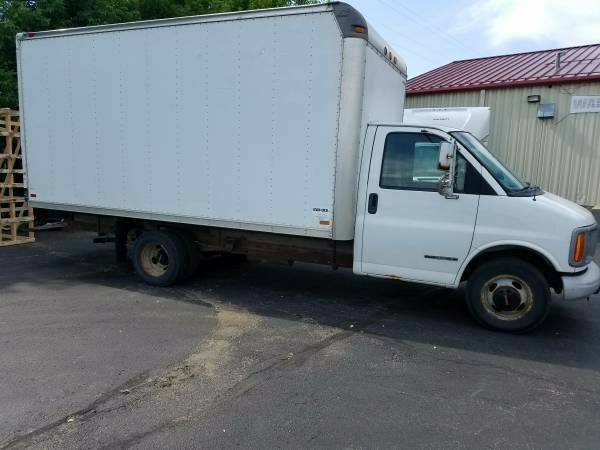 2001 GMC 1 ton 3500 16’ cargo van with a 14’ pull-out ramp. Wood flooring and tie-down track in the box. 139,000 miles, gas engine, new hitch, receiver and wiring. YES, there is RUST on the rear roll-up door, undercarriage, rear bumper and tire rims because of the Minnesota climate, but is a very comfortable ride and in excellent mechanical condition. Good tires and cold A/C. Overall this truck is in great running condition. Clear title. Will accept all reasonable offers.